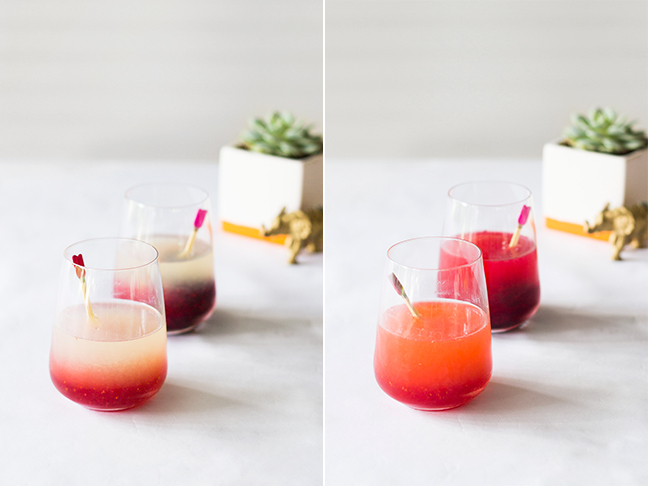 For a fun patio brunch, use these DIY fruit syrup cocktail popsicles to simultaneously chill and add flavor to champagne or lemonade. The popsicle stick doubles as a drink stirrer, allowing you to stir the melting fruit syrup into the drink to distribute it evenly. 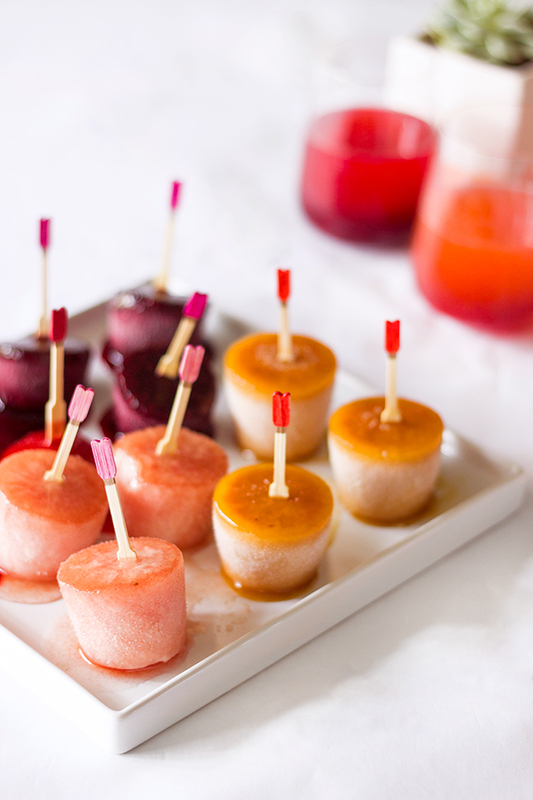 I’ve also made these popsicles as tasty mini treats for my daughter (sans champagne, of course!). They’re easy to make, freeze, and keep for a party or a afternoon treat. Step 1: Combine the sugar and water in a saucepan over medium heat. Reduce the mixture until it is slightly looser than a typical simple syrup—you want to retain enough water in the popsicle mixture so that it can firmly freeze, but not so much that it waters down your beverage when it melts. Set aside to cool. Step 2: Puree cleaned fresh fruit in a blender. Strain the puree to remove seeds and other roughage, then measure out 1 cup of the strained puree and add it to the simple syrup. If your fruit has high water content (such as watermelon, for example), add ¼ to ½ cup more puree, and let it reduce on medium until it thickens up slightly. Then set aside to cool again. Step 1: Wrap a small square of tissue paper over the top of the cup, then tape around the outside of the cup to secure. Step 2: With a sewing needle, cut a small slit in the tissue paper by scraping the pointed end of the needle over the center area of the cup. 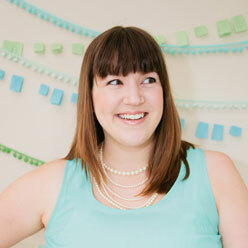 Make the slit about ¼" wide, or just slightly larger than the width of your popsicle stick. Insert the popsicle stick into the slit. Because it is so thin, the slit will be able to keep your stick in the exact position to move it to while also allowing you to make small adjustments to it to get it in a precisely straight position. Step 3: Freeze for a few hours—ideally overnight. 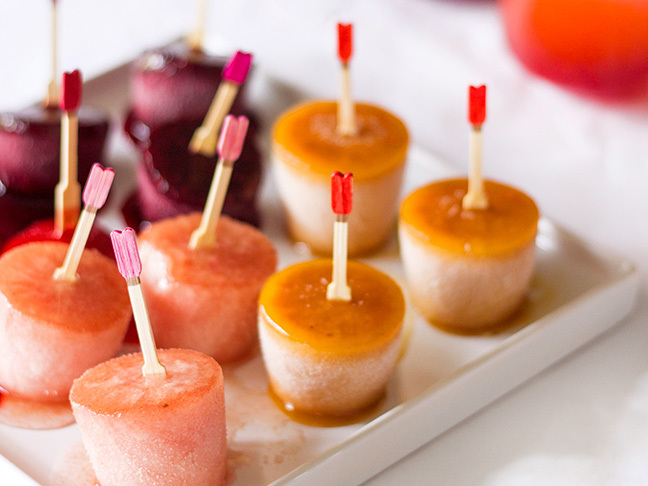 Remove the popsicles from the drinking cups and serve immediately. If you are concerned about them melting too quickly, they can be kept in a cooler while still in their cups, and your guests can pull them out themselves.